For many people, the idea of great kosher food in Miami might seem a bit odd. After all, the city, like the whole of the state of Florida, is known for its southern flavor and the tight connection with the Caribbean cuisine. Fortunately, there is a place that completely dispels that notion and it is a restaurant called Fuego & Blaze BBQ, located in the Miami Gardens which now houses a great fast and casual spot for a great kosher barbecue. The recognizable approach of the restaurant includes providing their clients with a delicious menu of burgers, steak, and fantastic Tex-Mex barbecue, ideal for anyone who is looking for great kosher dishes in Miami. Additionally, the restaurant also provides other flame grilled alternatives, like the well-known Aventura Miami Kosher Tuna steak. It did not take long for the Fuego & Blaze BBQ to become a hotspot for the locals but also the visiting crowd. A huge appeal comes from the restaurant’s simple and effective approach to service, which is designed to be fast, but also not to take away anything from the dining experience. Instead of going for a flashy and intrusive approach, the employees of this restaurant understand well that their food presents the best possible image of them. As a kosher steak house, its chefs, grill masters, and waiters will do their utmost to make each and every visit something that the guests can recommend to their loved ones without a second thought. This is especially true for all aficionados of meat dishes in all of their variations and alternatives. 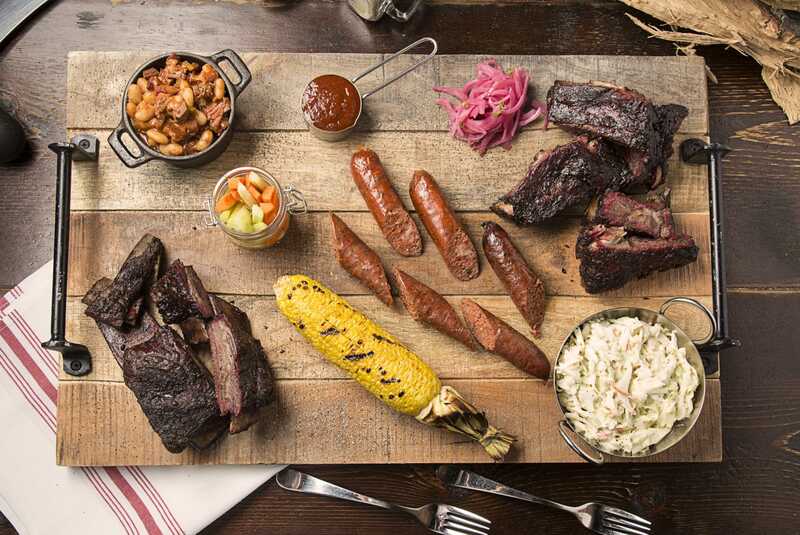 Because of this, the restaurant holds everything from standard BBQ steak to the instantly recognizable cured, smoked and aged meats with a flavor that is beyond fantastic. But, what it all comes down to is the Fuego & Blaze BBQ menu and what it can offer to its guests. One of the flagship dishes is the Cowboy steak that is a 28-day old rib eye steak that was aged to perfection before being grilled with the choice of different sauces. Flat Iron steak is 12 oz. steak that needs no introduction, while the Pastrami Wrapped Center Cut includes a mouth-watering pastrami and rib eye steak combination. For those more interested in some exotic meats, there is the Argentinian Churrasco, a 28-day aged steak of churrasco, ideal for those who want to try something new. At the same time, the restaurant’s offer of fish meat is equally impressive. Aventura Miami Kosher Tuna steak provides 8 oz. of tuna meat, seared and served with red onion relish and mango, all drizzled in the restaurant’s balsamic vinegar reduction. The Seared Salmon provide an equally great eating experience for the fans of grilled salmon where all the important flavors are perfectly preserved. Naturally, the restaurant provides an offer of meal salads, sandwiches, bird meat dishes, appetizers, burgers and an excellent kids menu. The offer is clearly impressive, but the prices that come with these are more than affordable, mainly because of sheer frequency of guests in the same restaurant. With this in mind, any individual, couple of a family interested in eating out in Miami can enjoy the ideal kosher restaurant. Here, they will definitely find a service and food that is just perfect.